Another Eastern Market building will soon reopen with a new business—and more. Beatrice Wolnerman and her husband Eli just closed on 1533 Winder, distinctive—for now—for its egg murals. In the coming months, the building will house not only their small business, but a coffee bar, an event space, and coworking space. The couple just closed on the building for $525,000. The transformation will call for a full rehab, including the facade and a new roof. There’s no front door to the building, only an entrance in the back. The couple will work with Mertz Design in Grosse Pointe on both design and construction of the building. The building currently doesn’t have much light coming into it, so larger windows and a front door will be added. Although the building hasn’t been used for quite some time, remnants from its likely meat-packing past still remain. The coworking space will have a range of options for entrepreneurs or freelancers, including a conference room and photo studio on the small upper level. They expect to open in early 2019, with progress updated on their instagram. They’re one of many new building owners in Eastern Market. 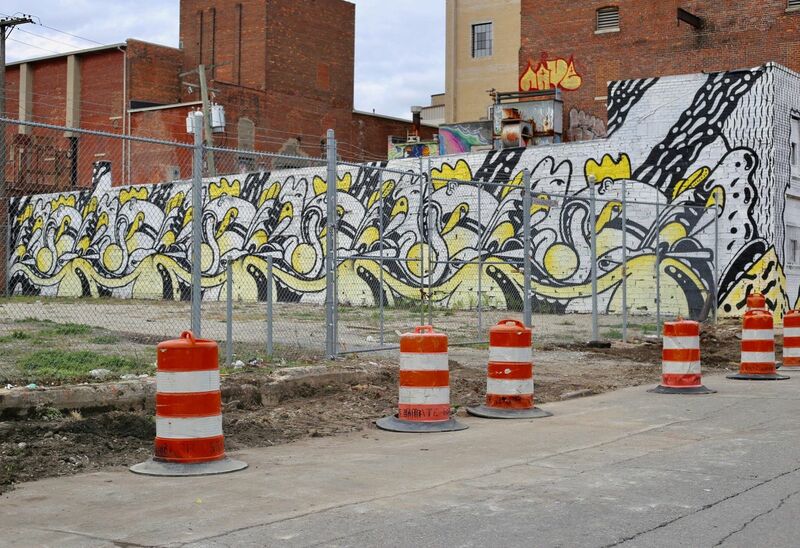 And although the egg mural will go, they hope to be part of Murals in the Market next year. The new space will be called Bea’s. and European users agree to the data transfer policy.